Chiara Boni La Petite Robe "Aubine" bustier top. Strapless neckline. Sleeveless. Fitted silhouette. Cropped above hips. Exposed back zip. Nylon/spandex. Made in Italy. 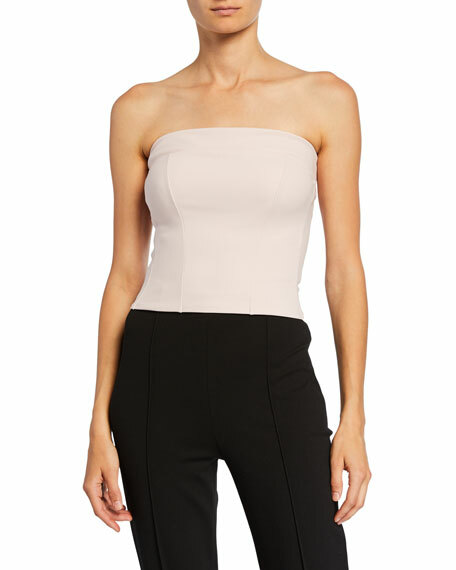 Eberjey "Odile" camisole in solid jersey. Scoop neckline and back. Thin, adjustable shoulder straps. Relaxed silhouette. Straight hem. Pima cotton/modal/spandex. Made in Peru. Bottoms, shown, are sold separately. 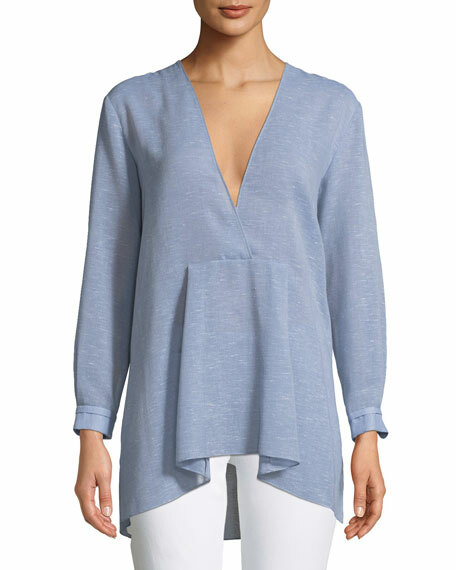 Halston Heritage chambray top. Surplice V neckline. Long sleeves; button cuffs. Pleated from seamed waist. Relaxed silhouette. Asymmetric hem. 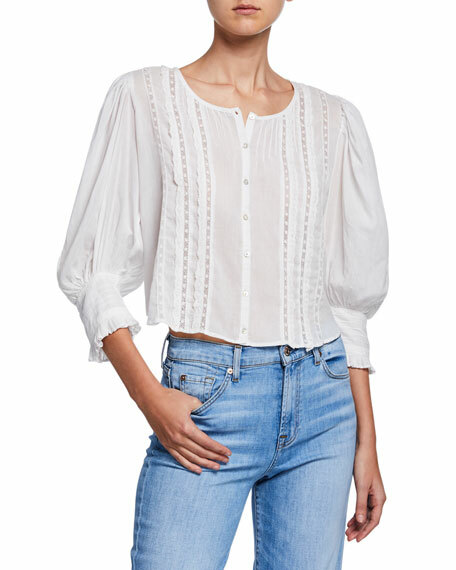 Cotton/polyester/Tencel lyocell. Dry clean. Imported. Loveshackfancy "Cailin" cotton top with dotted insets and scallop lace trim. Scoop neckline; button front. 3/4 balloon sleeves; cuffed. Relaxed silhouette. Cropped length. Cotton. Imported.